One of the best things about being a librarian is receiving Advanced Reader’s Copies from publishers. These books aren’t finished products you know. There’s often no cover art, they’re in need of editing, and sometimes even whole scenes are changed or removed in the final book. We get this opportunity to read books before they’re published so that we can see what we want to purchase and what we want to recommend to all of you. I got the chance to read a few upcoming books from authors we know and love. Even though these books are slated to come out within the next few months, I can’t give you a definite date for when they’ll get here. You’ll just have to watch the catalog or ask at the Youth Services desk. 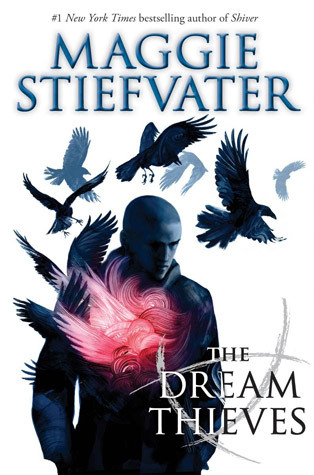 Here we go with the first one, The Dream Thieves by Maggie Stiefvater. The Dream Thieves is the second in the Raven Boys series. Gansey is still looking for the Welsh king, Glendower. Blue is still certain that the boy she loves will die if she kisses him. (The real question is, does she really love the boy she thinks she loves or does she really love someone else?) Noah is still a ghost, and Adam is still trying to escape his old life. Ronan — dear, angry Ronan — is the real star of this book. It’s Ronan who discovers something about himself — and his father — that explains why Cabeswater has disappeared, why the ley lines are acting wonky, and why someone is looking for him. One of the worst things about reading this book so early is that I have THAT MUCH LONGER until the next one comes out. My favorite character is still Gansey. He seems like he wouldn’t be out of place in A Separate Peace by John Knowles or the movie Dead Poets Society, search for Glendower aside. 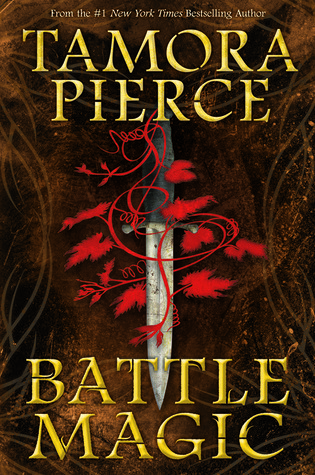 Next coming out is Battle Magic by Tamora Pierce. We finally have another book about Briar from the Circle of Magic series. Battle Magic continues where Street Magic (The Circle Opens series) left off. Briar is a full mage now and has a student of his own, Evvy, who practices ambient stone magic. He, Evvy, and his teacher Rosethorn are traveling when they become involved in a war with a villainous emperor. I will freely admit that there’s a scene where I cried like a baby, so if you’re an animal-lover, consider yourself forewarned. Otherwise, Battle Magic is a great return to the universe Pierce first created !!!sixteen!!! years ago. That’s enough for now. Stay tuned for more sneak peeks at what’s coming soon.